This entry was posted in Issue 3, Mark Roberts, Mascara, Paul Cliff, PressPress, Publisher, Vanuatu Moon (Parts 1 & 2) and tagged Adam Aitken, Ania Walwicz, Jill Jones, Joanne Burns, literature, Mascara, prose poem, Suneeta Peres da Costa, Susan Schultz, vacation, Vanuatu by Mark Roberts. Bookmark the permalink. Nice to read this review Mark. I haven’t read Paul’s book, but it sounds exactly the kind of poetry I would like to read, being a poet obsessed by writing about travel, movement, cultural difference etc. I am thinking of what you mean by this comment about Paul’s encounter with the difference and otherness of the flight attendant: “Unfortunately this sense of difference is never completely realised.” I think in the cross-cultural encounter, often writing and writers confront an aporia, or absence of realisable meaning or a kind of silence that occurs precisely because we have had an encounter with the Other whose difference is perceived as profound, uncanny, beyond our abiltity to explain, and silencing. 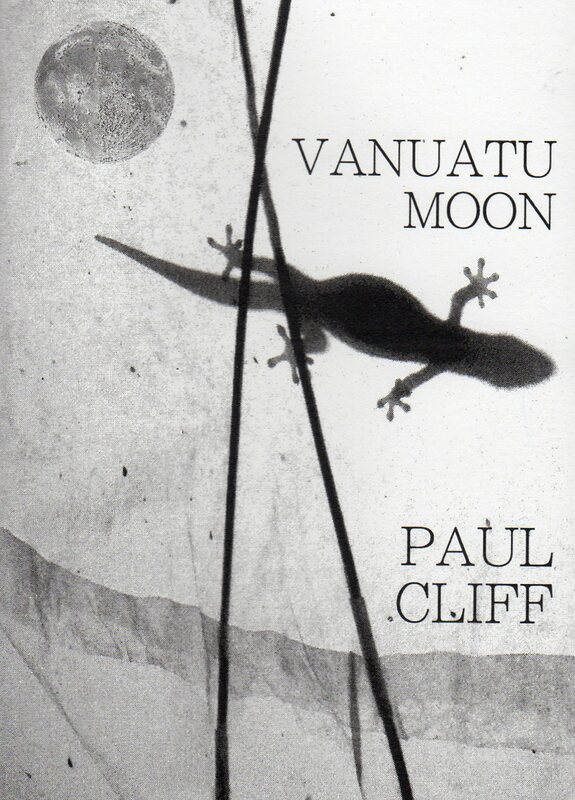 So maybe Paul’s poems are worthy for having left the unrealisable as unresolved or unframed. I also like Paul’s down-to-earth approach to not making the tourist experience a lyric or trancendental experience, (in which he Tourist, is the defining eye) but more of an immersion in a material and economic structure of tourist encounter – ie. the flat lack of lyricism, style or “poetry” is a strength of this kind of prose poem itself, as it de-mythologises the romance of travel. This is a million miles away from Judith Beveridge’s “Indian” poems for example, which are intensely lyrical and therefore the other place is an imaginary India in which the poet can mount the contemplation of religious and spiritual ideas. Paul’s book sounds like a worthy deconstruction of tourist/host encounter and exemplifies a certain modern kind of unadorned prose – what Roland Barthes called “zero-degree” writing. Come to think of it, Cliff’s description of the attendant as “stern-faced” is definitely an exception to “Zero-degree”. I think these are the moments Cliff’s text becomes ideological, judgemental, perhaps stereotyping. Is there any real empathy in the book? Is there any moment when the Self-other distinction morphs into true relationship and communication? … as, with the exception of one poem, the entirety of my first collection (which is autobiographical, and a purely incidental point) couches the poet as traveller, one immersed in detail and texture of place and distinctly not extrapolating grand(iose) ideas or reinforcement of glib assumptions. … is quite a damning one. I’ll have a read and draw my own conclusion. It sounds like one of the fundamental things not to do – to exoticise – has been breached. Being an Australian poet criticised for trading on exoticism, I am sensitive about the word itself and about patronising misreadings of how migrant and diasporic writers deal with thier connections to the Great Outside. Exotic means that which is outside, foreign, other. The odd thing in my case is that my critic did not seem to contextualise my exoticsm in terms of my writing about my Asian family and Asian connections, which is much more of a challenge than trying to write of exoticism. I hate exoticising my relatives, and I hope my writing doesn’t do that. At the same time all travel is caught up in the travel industry and the whole discourse of exoticism, and getting escape velocity from that is difficult.